Hi, guys! 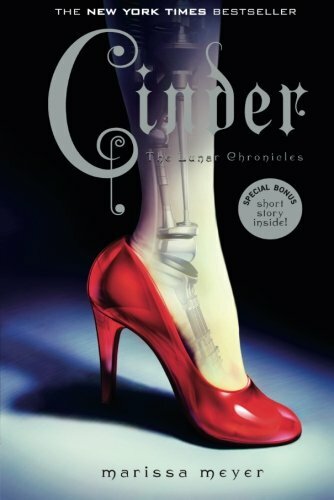 It’s Nikki and Amy here to tell you about another one of our favorite books: Cinder by Marissa Meyer. It’s the first in the thrilling series titled The Lunar Chronicles. 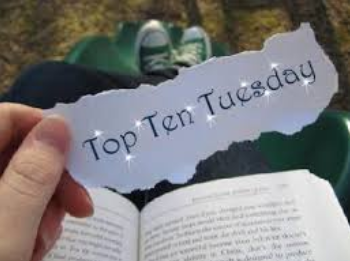 This is definitely a book you should touch and never put down! Review written by Nikki: Although this book is a modern take on the popular fairy tale, Cinderella, Cinder is far from the damsel in distress that Cinderella was. Cinder takes place 126 years after WWIV, where both humans and androids walk the same Earth, and the dangerous Lunars watch from the Moon. A malignant disease is making its way into the bodies of the occupants of Earth. Cinder is a cyborg, and because of that she is often treated less than human by everyone, including her stepmother. She is also a talented mechanic, and that is how she runs into the handsome Prince Kai, the soon-to-be ruler of New Beijing. Before she knows it, she is entangled in the impending war between the Lunars and Earth. I promise you, if you start reading this book, you will not put it down until you finish. How I Found this Book written by Nikki: I was flipping through a Scholastic catalog, and it caught my eye. I ordered it, and when I was finished I handed it over to Amy. Why We Love This Book, and Why You Will Too written by Amy: This is yet another book that Nikki found first. She always gets the good ones! I was quite skeptical at first, because the cover was a bit decieving, and for a while I wondered if she was an android. What got me started was the “summary” on the back, and look at me now! I love this book because it is an incredible twist off of my most fantastical childhood memories of what it would be like to be Cinderella, and it is a compelling story of what it means to follow your heart, no matter what the cost. This author immediately became a favorite when I read this book; no doubt about it. Nikki loves it too, of course! Spoiler Alert: Queen Levana does not have a hidden spark of goodness in her heart! Rate: From one to ten, it will never waver from eleven. Every time I look at this book, I fall in love again. This mystical twist of the fabulous Cinderella story and science fiction leaves you in awe as you turn the last page. This book will always jump out at you when you think of your dreaming-of-a-princess days, because it is so different and yet uncannily similar. Good call on wanting to read it. Although, I have no idea why it’s not in hands yet!! Thank you for all of your nice comments; they always make me smile! Actually we have! They were all so amazing but now I’m dying inside! Winter why can’t you come early?!? This book sounds awesome. I’m always looking for different takes on old stories. It’s cool to see how a fresh voice can twist or offer insights previously uncharted. I think I read this book? That sounds so bad, I know, but it was a really, really long time ago and if I remember correctly, I didn’t like it. I own both the first and the second book (though I’ve never read the second) but didn’t like it because it didn’t capture me. Everyone loves it and I’m just that one person doesn’t. Yeah, I like dystopian and sci-fi but for some reason, fantasy seems to turn me off.